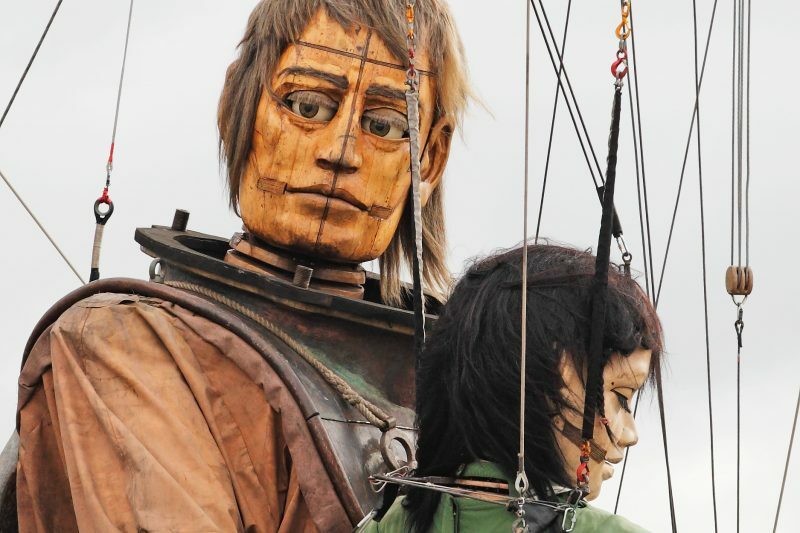 Giant snores reverberated around Kings Dock before two huge marionettes were brought to life by the Lilliputian crew of Royal de Luxe, a French street theatre company here to commemorate the 100th anniversary of the sinking of Titanic. Dated 13th April 1912, a letter by 10 year old May McMurray from Liverpool was written to her father, William, on the ill-fated cruise liner. 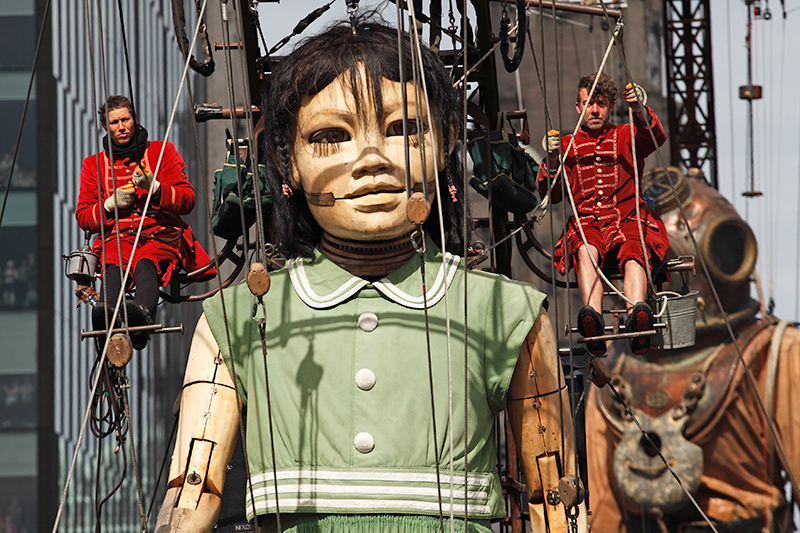 A century after it was posted it became the inspiration for the UK’s largest street theatre event. William would never see the letter; it reached White Star’s offices after the Titanic had embarked, and was returned to sender. 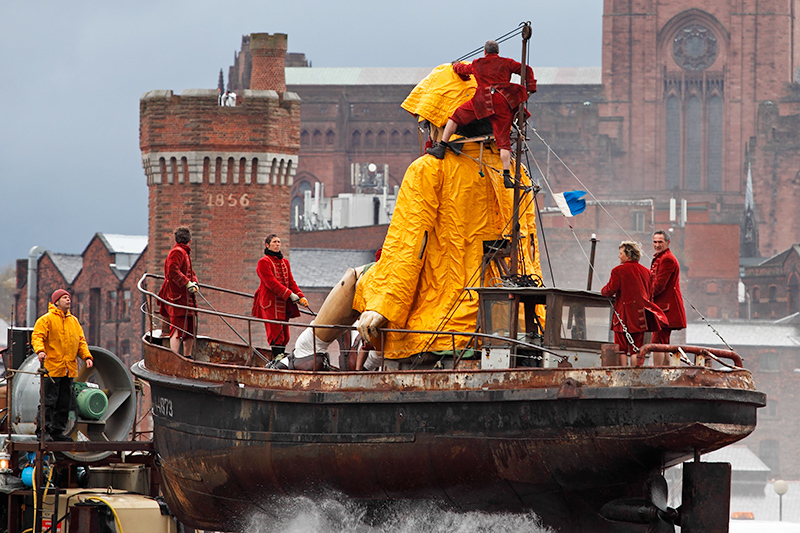 He died when the ship sank, despite having had the opportunity to board a lifeboat. 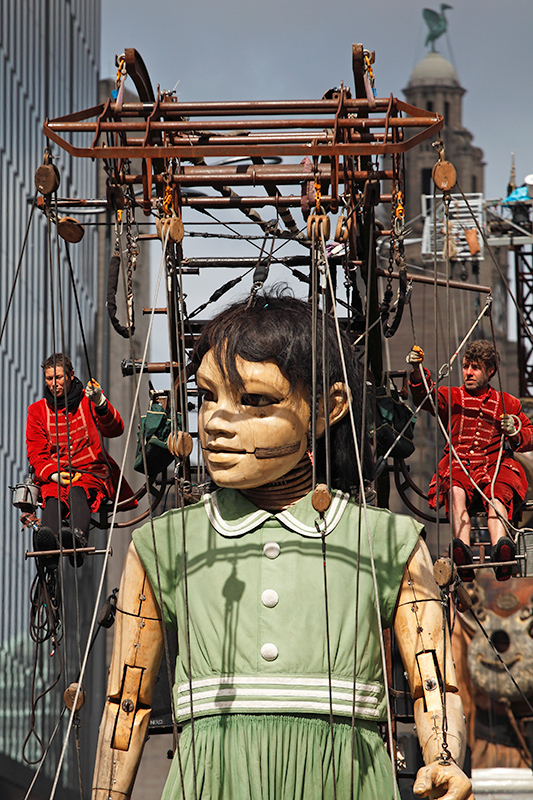 Faces pressed against the windows of tall buildings came eye-to-eye with giants as the Uncle and ‘Little Girl’ took to the streets. 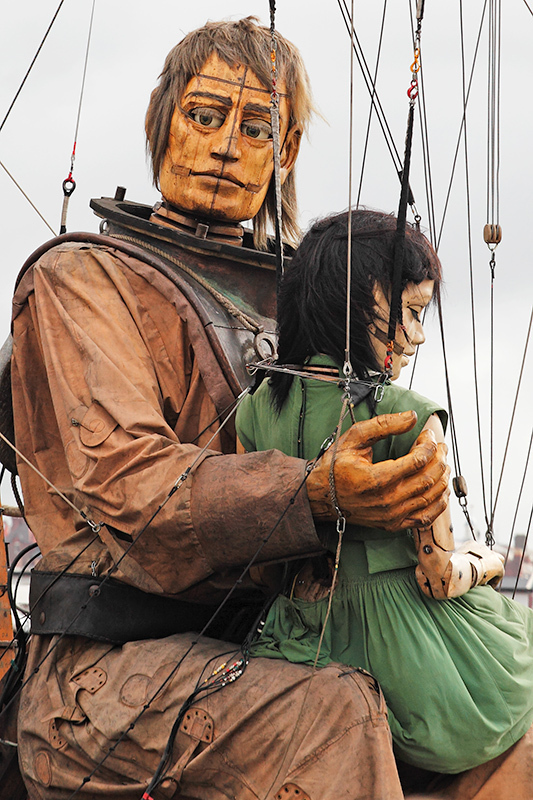 Sea Odyssey tells the story of a young girl whose father, a 30 foot giant, stowed away on the Titanic and died when it sank. 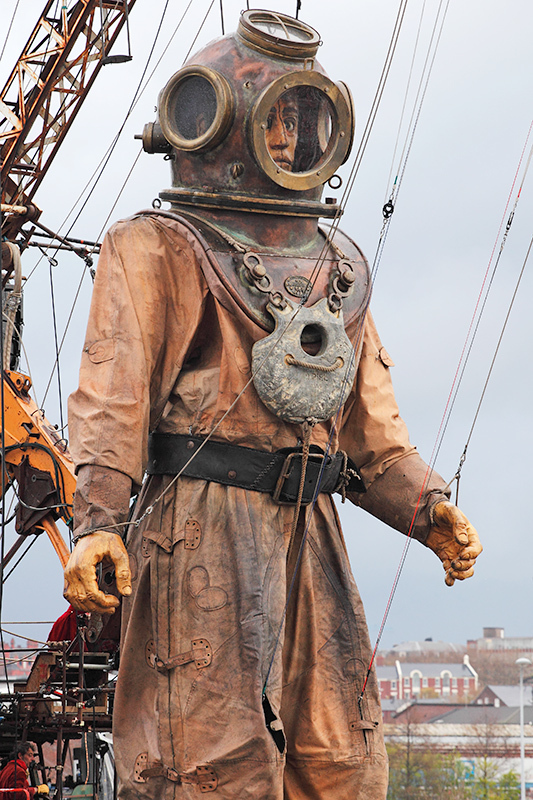 His brother, the second giant puppet, took a century to learn to dive and having found the wreck of the Titanic returned to Liverpool to meet his niece and distribute letters from the ship around the city.